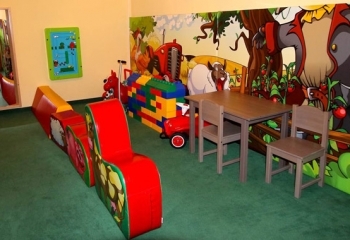 For our smaller guests, we have created a colorful playroom right next to the breakfast area. 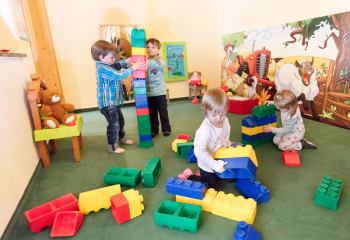 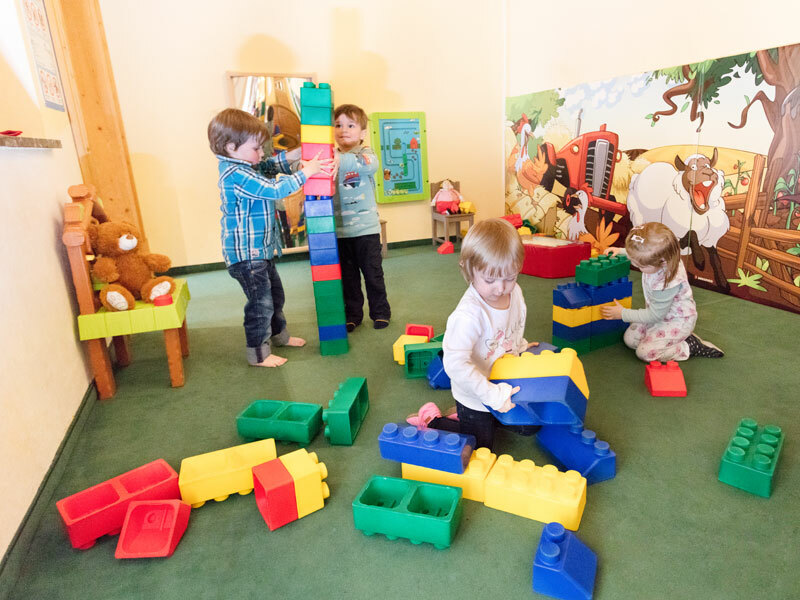 In this children’s paradise, the youngsters can play to their heart’s content. 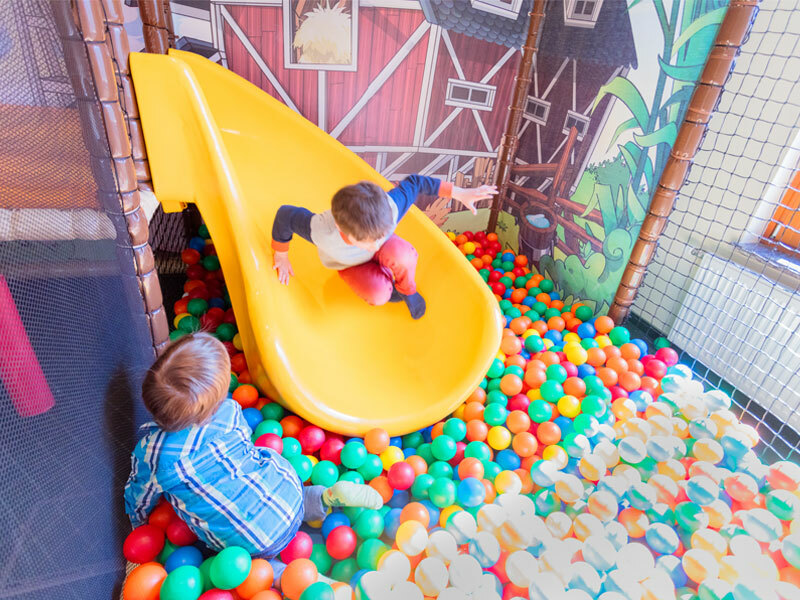 Whether coloring, doing crafts, building with Legos, throwing themselves into the ball pit or checking out the small slide – boredom will never be a factor. 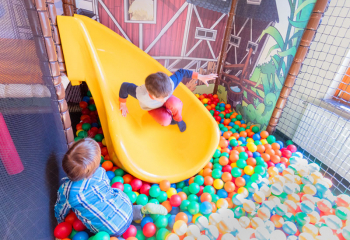 Also awaiting children in front of the house in the summer months is a small playground with a sandbox.